Poisonous cave lizards, giant birds, and spiders that will eat your brain. Also, monks. The monks are the most dangerous. For a while he watched a thin white cloud, light as air and impossibly far away. When it scudded beyond the range of his vision, he looked instead into the wide gray blank of the sky. The empty sky, he thought idly to himself. A heaven of nothingness. Without that space, the clouds could not sail past. Without it, the stars could not turn in their orbits. Without that great emptiness, the trees would wither, the light dim… Kaden stared into the sky until he felt he might fall upward, plummeting away from the earth into the bottomless gray, dwindling to a thin a point, then to nothing. Epic fantasy, more than any other genre, is often built on conflict between extremes: light and dark, order and chaos, Cardinals and Cubs, etc. Authors create characters to embody these principles in their actions and attitudes, and set them against each other in order to say something about our values and choices, the light and dark within ourselves. And, very often, these characters are given powers (magic, martial, or whatever) that reflect in some way how well they embody a particular value. So the most powerful evil character is also usually the most evil in general. The most powerful good character is usually the most good in general. Think Gandalf and Sauron, and you'll get the idea. Now this sort of story principle is one of the things that makes epic fantasy unique, and it's also the sort of thing that authors will play with in different ways. 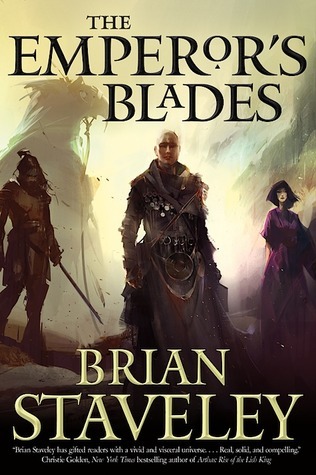 The Emperor's Blades contains this same classic sort of conflict, but instead of the typical sorts of moral conflicts, Staveley gives us a conflict between... Well I'm not sure what to call it. Emotion and aloofness, I suppose. Feeling and void. He makes up his own word for the void: vaniate, a sort of detached, passionlees state that banishes all fear and love, all anger and worry, all sadness and joy. Kaden, the heir to the throne, is in pursuit of this blank ideal for much of the book, while his brother Valyn embodies the opposite end of the spectrum, often emotional to a fault, both in love and hate, anger and kindness. Each learns to harness the power of these respective extremes, making themselves into quite powerful, if quite different creatures. And it's the combination of their two approaches that dominates the climax, with each needing the other in order to survive. Yet ultimately, neither of these approaches is really embraced by the end of the book. Both, actually, are shown to be rather horrible in their own way. And this is where the third sibling, their sister Adare, will likely become important in books to come, as a character in which to reconcile these competing principles. Really, my only small criticism of the book was with the handling of her character, since there were a few long sections when Adare seemed to disappear. Her face-off with the religious establishment of the capital city seemed far less important than the brothers' respective conflicts, and was accomplished in much less actual page time. But I have a weird feeling that she's actually the most important character in the series. Staveley has written extensively about the writing of epic fantasy; his blog, not coincidentally, is called On the Writing of Epic Fantasy. It was actually in these fairly detailed essays that I first encountered Staveley, and had a few discussions with him on Google+. (Yes, I know that is surprising, but people actually do use Google+) You can see the fruit of all that thinking in The Emperor's Blades. Staveley knows all the notes, knows when to improvise, and when to just let the music flow. I look forward to his next one. A few small complaints aside, this is an excellent start. And with the second book of the series already finished and ready to come out in 2015, there won't be a lot of time to wait for the next chapter. Get it from your library. And make sure you start it during a week where you don't have a lot to do. There will probably be a couple late nights. 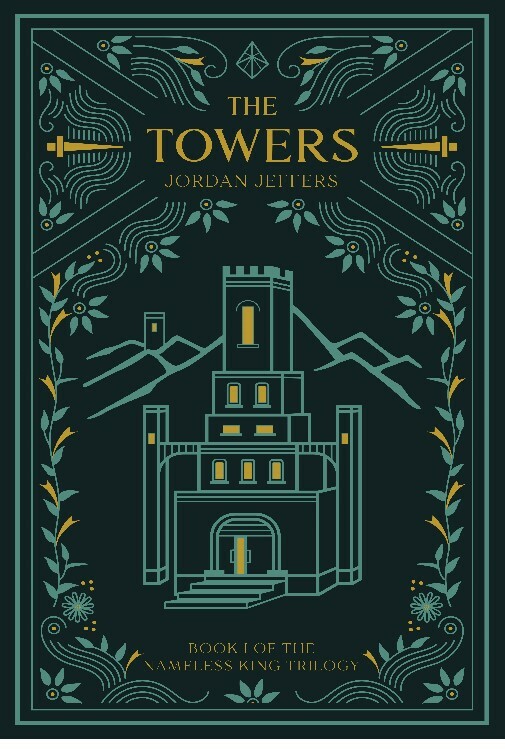 Not a bad novel for beginning readers of epic fantasy. The character list is fairly short, so you won't get overwhelmed with a few hundred names of royal family members and their third cousin's illegitimate children (I'm looking at you Double-R Martin). 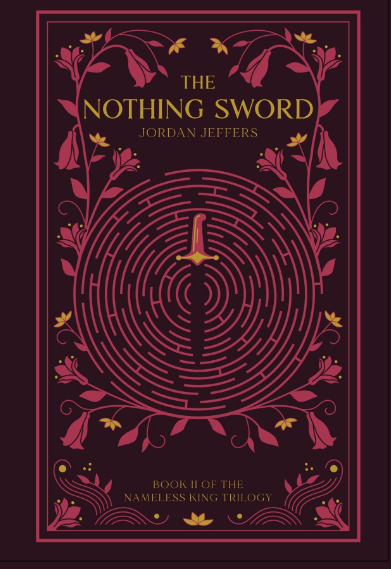 The book is still very solidly in the fantasy genre, however, with plenty of weird names, weird maps, and sword fights. If you're a fan of black ops or spy movies, you'll probably enjoy it. These reviews and more can be found (and are posted first) on my Goodreads page, for those of you who are a part of that particular electronic social club. All of them will make their way to this blog eventually.